The Radio Shack Inventory got up with the iPhone 5 by Sprint too. 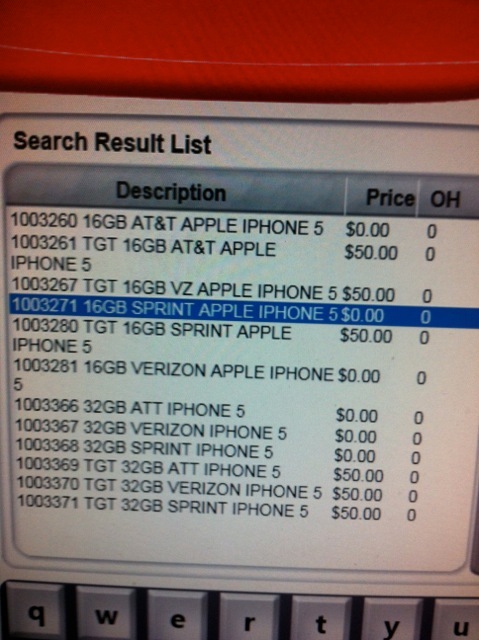 The search result also showed up the iPhone 5 coming by AT&T and Verizon Wireless. We know that the iPhone 5 for sure will be available by the AT&T and Verizon soon over but if this time the iPhone 5 goes to three of them, a nice jump. Well only 3 day’s are left for the secret to be revealed so stay tuned. A source has pushed this pic to 9to5Mac.